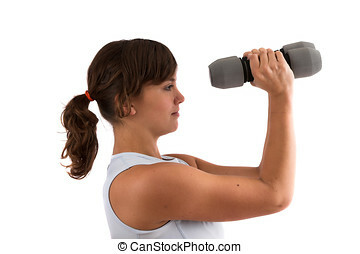 Biceps exercises. 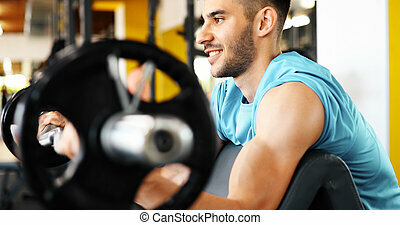 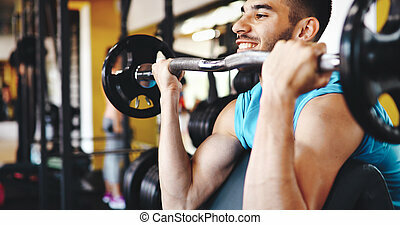 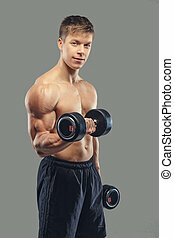 Handsome young man doing biceps exercises on black background. 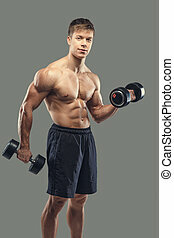 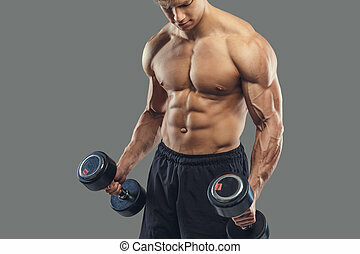 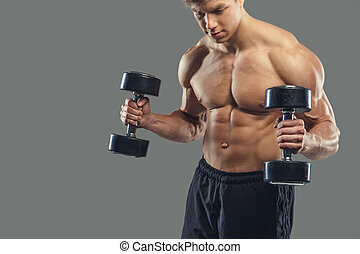 Shirtless muscular male doing biceps exercises with dumbbells on a grey background. 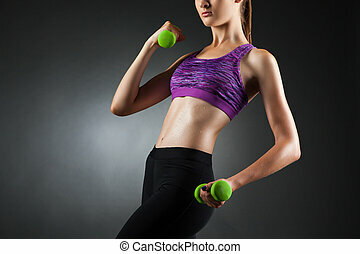 Beautiful woman doing biceps exercises with green dumbbells. 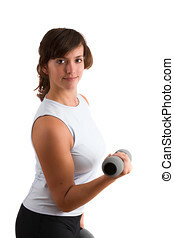 Studio portrait black vignette background. 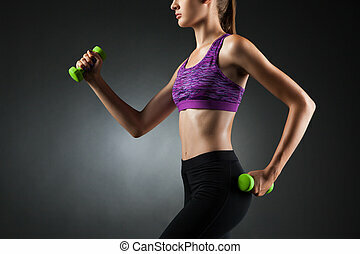 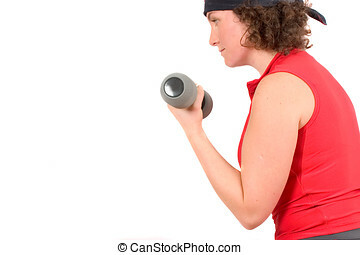 Unknown woman does biceps exercises with green dumbbells. 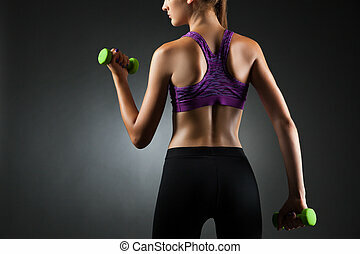 Studio portrait black vignette background. 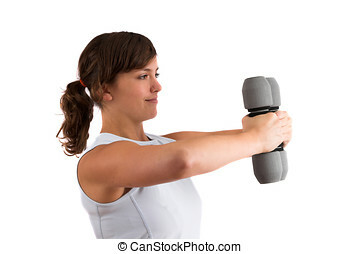 Unknown woman doing biceps exercises with green dumbbells. 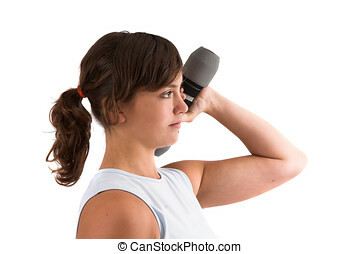 Studio portrait black vignette background.